What better way to ring in the New Year than with the premiere of the latest series of the BBC’s Sherlock? The hype generated by this latest iteration of the famed ‘consulting detective’ is far from unprecedented. From the first appearance of the sleuth at 221B Baker Street, audiences have been glued to the page and eager for more. 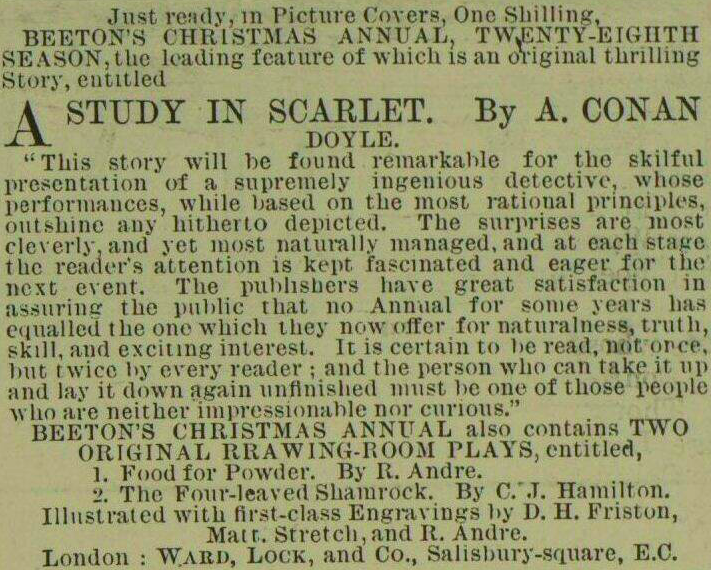 Sherlock Holmes first graced the pages of Beeton’s Christmas Annual in the 1887 printing of A Study in Scarlett. The novel was printed as a serial to great success. 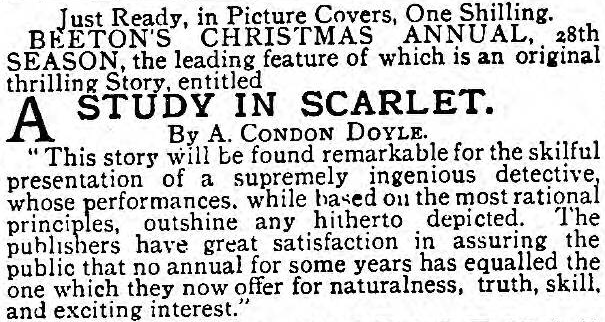 On the heels of its success, it wasn’t long before Arthur Conan Doyle had a new Sherlock story. The Sign of Four came out in 1890. 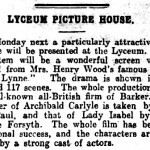 You can read the serial installments of The Sign of Four in the Hampshire Telegraph on The British Newspaper Archive. It’s important to remember that before radios and televisions became ubiquitous in homes, newspapers were a primary source of both news and entertainment. You can imagine the anticipation felt as people waited for the latest installment of a serial. Friends and family may have even gathered together to read aloud the latest chapter of a Sherlock Holmes mystery – the nineteenth century version of live tweeting about the latest Sherlock episode! 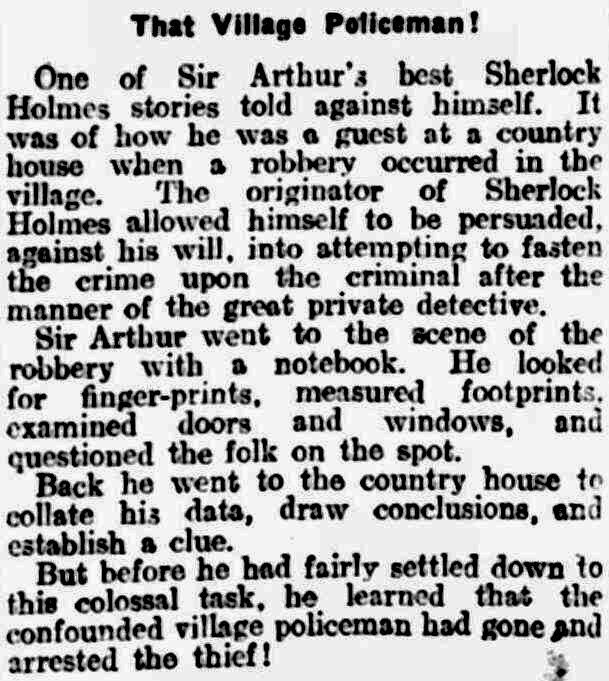 Fully serialised stories like those of Sherlock Holmes played a role in the readership of a newspaper. The enticement of a new chapter being printed kept readers coming back to the paper, creating a loyal following of subscribers. Seralised stories would often be subsequently printed as stand-alone novels, often broken up into several volumes. 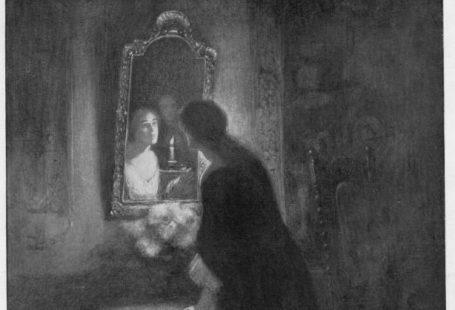 Victorian England saw a rise in literacy, coupled with advances in both printing and distribution, which resulted in the rapid growth and popularity of seralised fiction. Printing installments in newspapers was less costly than publishing entire stand-alone novels and was more economical for readers. The success of Charles Dickens’ The Pickwick Papers, first printed in 1836, is credited with proving the potential and appeal of seralised literature. As authors were paid by line and installment, novels of the era were particularly lengthy. A voracious readership put pressure on authors to write more and faster to provide additional installments. 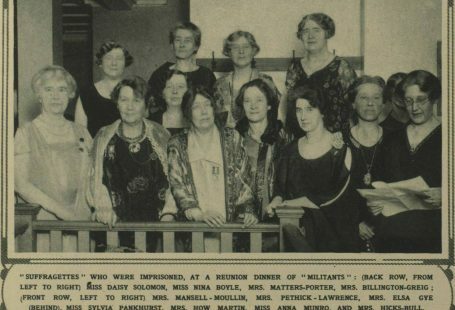 As you can imagine, not all authors flourished under such conditions. Others, however, did – Alexandre Dumas found great success in writing serial fiction and could write upwards of 14 hours a day. Serial fiction started its slow decline with the growing success and availability of broadcast radio and television. As broadcast took on the role of entertainment, newspapers shifted to focus more exclusively on news. 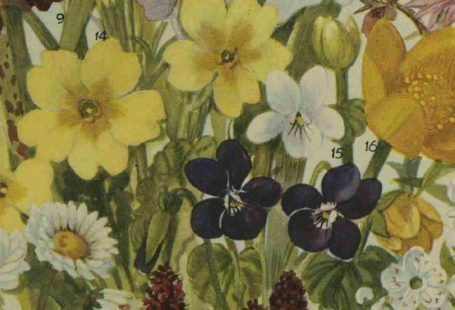 The serial publications that did continue into the 20th century were received with mixed reviews. The appeal of Sherlock Holmes endured past the pages of such newspapers as The Strand and met with equal success as printed books and, later, on the small and big screens. 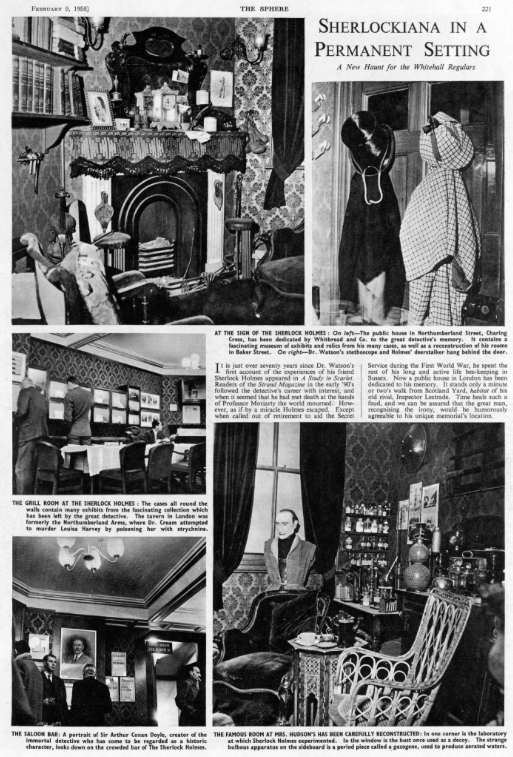 But the devotion extended even further: seventy-one years following the debut of A Study in Scarlet—and twenty-eight years after Sir Arthur Conan Doyle’s death—there was opened a public house in London dedicated to Sherlock Holmes. 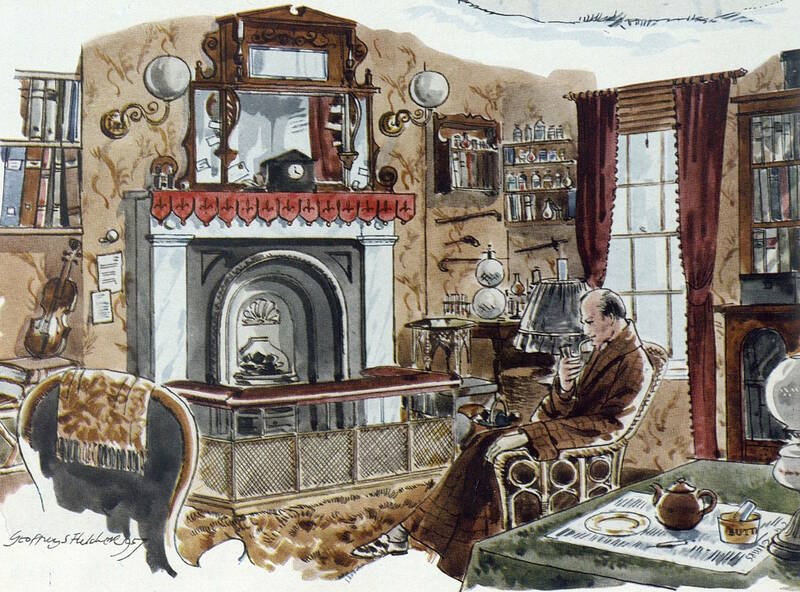 The public house ‘contains a fascinating museum of exhibits and relics from his many cases, as well as a reconstruction of his rooms in Baker Street’. 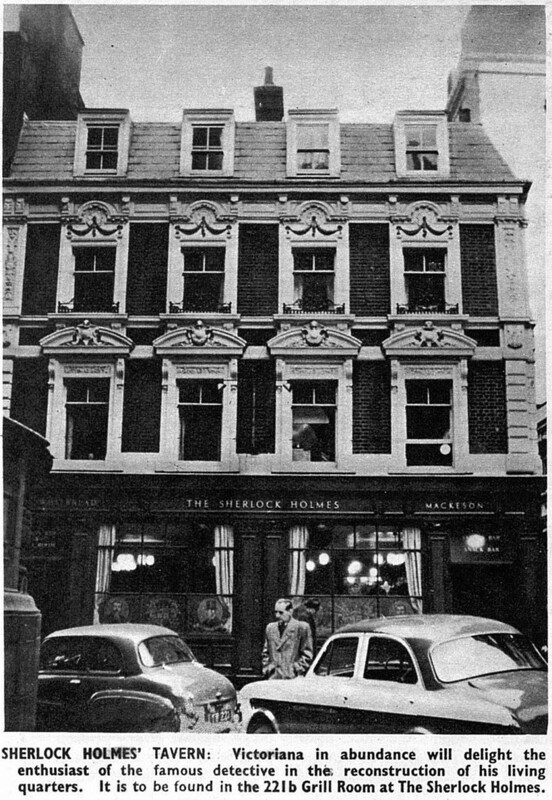 The Sphere article introduced this public house in an article entitled ‘The Singular Case of the Classic Detective: After Seventy Years Sherlock Holmes is Still the Master’. However, in spite of the public’s clear adoration of Sir Arthur’s creation, the author himself grew quite the dislike to his consulting detective. 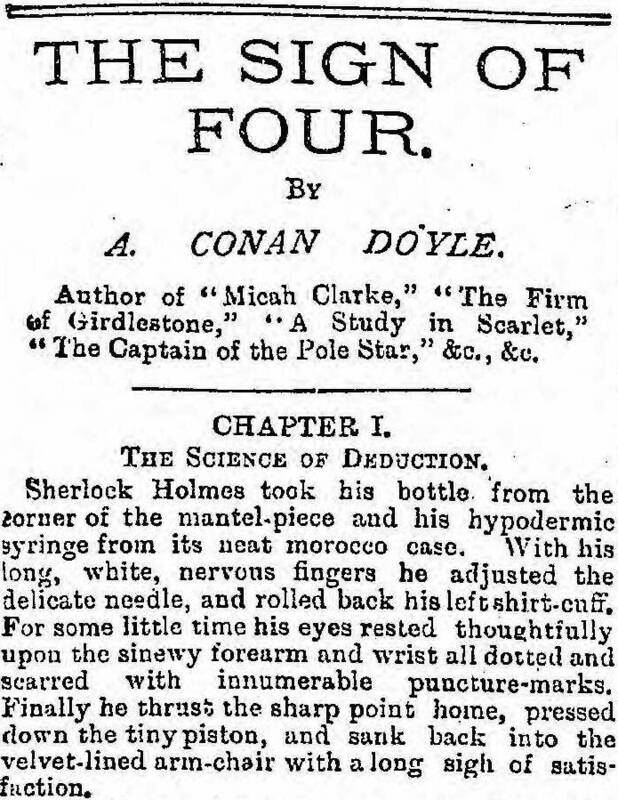 The day following his passing, the Portsmouth Evening News published a lengthy piece on the late Sir Arthur Conan Doyle, including stories surrounding the creation and reception of Sherlock Holmes. 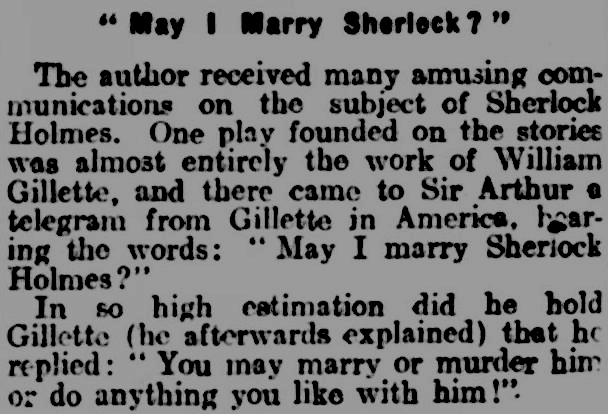 It seems his enamored following tended to believe that Sherlock Holmes and Sir Arthur Conan Doyle were one and the same. To this end, Sir Arthur was even persuaded to aid in an investigation of a robbery – only to be outdone by the local village policeman! Follow the detective and his adventures in the pages of The British Newspaper Archive. Delve into the archive and see what other serials you can find. There are more user are working for this window10 concept working. if you are agree to play this and enjoy http://gethelpwindows10.com the anytime get the more uses of the working of the website.